There are toothbrushes available for kids of all ages these days, making it easy for you to choose one that’s just right for your toddler. Whether you're considering a manual or electric toothbrush for your child, this guide from our North Delta children's dentists should help get you started! 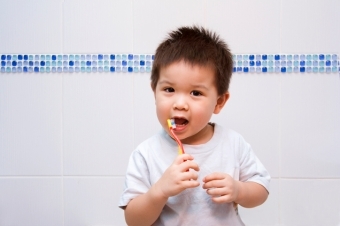 The benefit of electric toothbrushes for small children is that they require less manual dexterity to do a good job, since the brush itself does most of the work. Electric toothbrushes also have nice big handles, making them easier for small hands to hold on to. Together, these features make brushing easier for small people who are still learning! When choosing an electric toothbrush for your toddler, select the smallest head size possible. You should also try to choose a model that has a timer built in. This will help teach your child how long she should be brushing her teeth for. Some models even play a song for the two-minute brushing duration, making the process more fun for your child! Choose a manual toothbrush for your toddler that has a small head, and a large handle with a soft grip. These features will make the toothbrush easier for those little hands to hold onto. The brush should have soft, flexible bristles, as these are easier on the gums and more effective, since they go between the teeth and into crevices a bit easier. It’s important to let toddlers brush their own teeth so that they learns how to do it. But since they are still learning, parent must also go over the teeth with the toothbrush, to ensure that all the plaque has been removed. 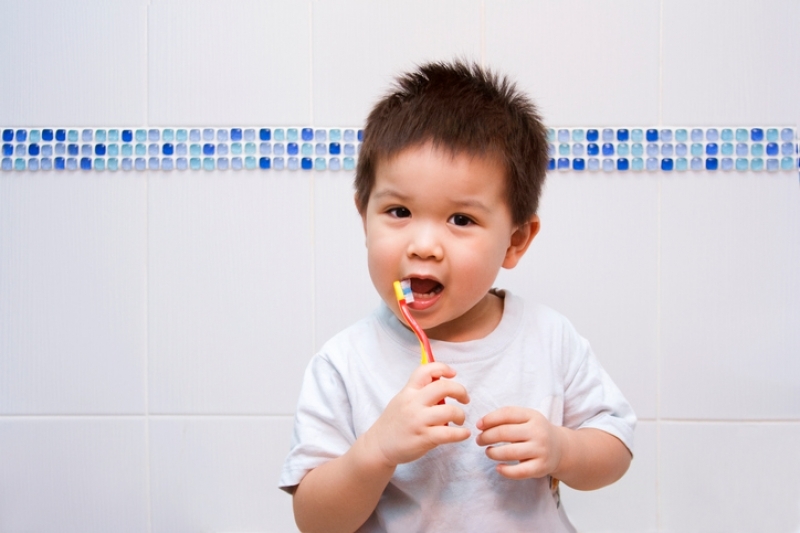 If you have questions about choosing a toothbrush for your toddler, contact SmileTown North Delta today.